If you need extra money but you don't have the time or energy to take on another part-time job at a local store or office, then don't despair. There are plenty of ways that you can make a little extra cash on the side without having to do much extra work. In fact, you'd be surprised how many things you can do to make your money work for you. To help you make the most out of any budget, I've put together a quick list of easy ways that you can make money without wasting all of your spare time. As bad as interest rates might be right now, they can still be a great way to earn free cash on the money you already have. To make sure that you're making your money work for you, spend some time comparing the best savings accounts available to you online. Remember, there are also checking accounts that can give you an interest rate back too. Alternatively, you could consider moving some of your savings into an investment portfolio for a higher return but remember that this strategy comes with a much more significant level of risk. Did you know that you can actually get money back on the amount you spend? There are various websites out there all the way from TopCashback to Quidco that allow you to earn whenever you spend money online. All you need to do is set up an account and click on an affiliate link from the website when you want to do some shopping. To earn cashback offline, you can consider a cashback credit card. You'll need a pretty good credit rating to get one of these, and you'll have to make sure that you pay it off in full each week. However, if you can get a cashback card, you can basically make money for doing nothing. Looking for a good way to make some cash and clean up your home at the same time? Why not consider selling your unwanted things on sites like eBay and Facebook marketplace. The internet has taken over the role of notice boards and newspapers as the place to put your ads for things that you no longer want and need. You can advertise just about anything you want to sell online, free of charge. If you're a little more creative than most people, you could even think about making things to sell online. Sites like Etsy are a great way to develop a small side business and start making money out of your hobbies. You can even drive additional sales by setting up your own social media presence. There's a fairly large number of agencies out there, including YouGov, that are willing to pay small amounts of cash to people who complete surveys. It's worth noting that the amount you earn from filling out surveys can be pennies, but if you're just looking for something to do while you're sat in front of the television, it might be worth a try. Alternatively, if you have insights to share that go beyond ticking boxes on a survey, you could try launching your own blog and signing up with an affiliate network. As an affiliate marketer, you can drive traffic to your website with unique reviews and interesting articles about products, then hopefully convince your readers to buy those products. Thanks to your affiliate partnership, whenever someone buys what you're selling, you'll get a small payment into your bank account. 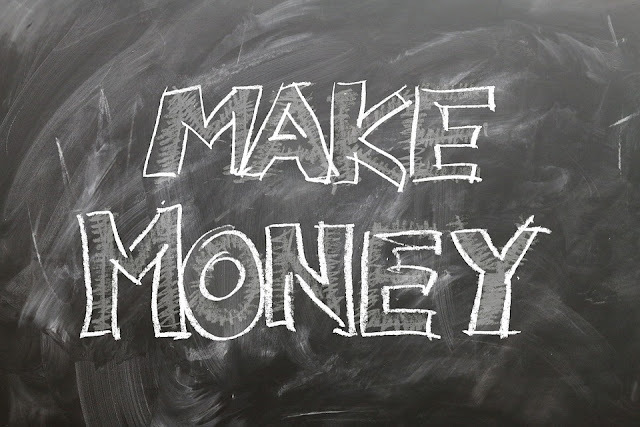 The better you get at affiliate marketing, the more money you'll make. If you've always dreamed of imparting your wisdom onto others, but you don't want to go through the process of getting a teaching degree, then you could always consider becoming a tutor or an online educator. There are various sites that you can sign up to you share your services as a tutor for common classes like math, literature and science. On the other hand, if you have something a bit more unique to teach, you could consider setting up your own webinars and videos that invite people to come and learn from you. There are people online teaching everything from how to play the guitar, to how to cook and bake. Now that people see the internet as an endless source of knowledge, the possibilities for teaching are practically unlimited.